With the effects of wind, waves, and changing land and sea levels constantly altering coastlines and navigable waters, precise positioning and data acquisition is vital to maintain and preserve these natural resources. 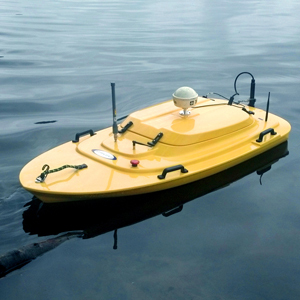 Highly trained surveyors have at their disposal the latest in hydrographic surveying equipment and technology. A wide variety of survey vessels and equipment allow surveyors to work in many different environments from inland waters and rivers, to ports and deep-ocean. Hydrographic surveys are performed using the latest hydrographic surveying technology and software. RTK GPS and robotic tracking provide survey grade horizontal and vertical positioning where feasible. Surveys can be performed on jobs ranging from riverine cross sections, lake cove sediment surveys, various pond underwater DTM surveys, coastal port scour surveys, quantity surveys for pre- and post-dredging projects and various hydrologic and hydraulic cross section surveys for floodplain mapping.